Twentieth Century Fox Home Entertainment, MGM Studios, EON Productions and Christie's teamed up to tour two Spectre-themed glass displays around the UK this week (15-17 February). The glass displays, which contained a total of 15 items featured in the film, made their first stop in Glasgow, followed by Manchester, Birmingham and finally Cardiff yesterday (17 February). Fans at each location were invited to step inside the displays to view their contents, which included the Aston Martin DB10, Bond’s iconic white dinner jacket, masks worn in the opening Day of the Dead scene, and the metallic nails worn by henchman Hinx. 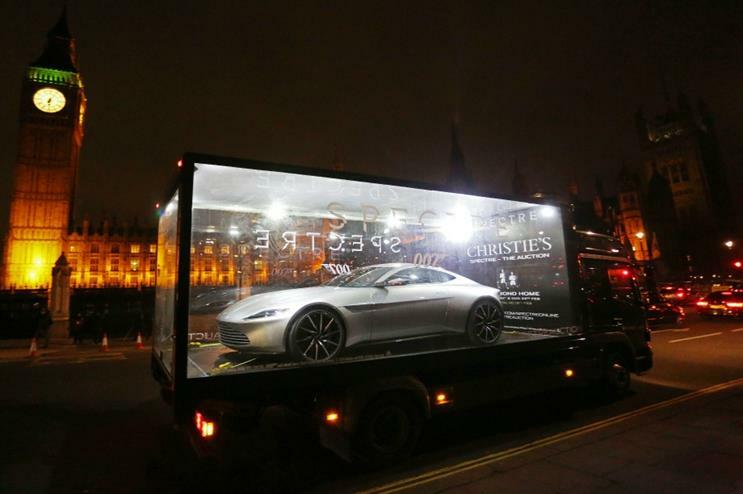 There were also opportunities to view James Bond Spectre – The Auction on interactive screens. The tour culminates with a live auction at Christie's in London today (18 February), where ten of the items will go under the hammer. Another 14 items from the film will feature in an online auction from 16-23 February. The acitivity sought to promote the release of Spectre on Digital HD and Blu-ray later this month. Agency Premier worked with the companies to deliver the tour, which covered 1,000 miles.